STREET SENSE (USA) (Bay 2004-Stud 2008). 6 wins-2 at 2, Kentucky Derby, Gr.1. Sire of 596 rnrs, 401 wnrs, 46 SW, inc. Sweet Reason (Saratoga Spinaway S., Gr.1), Hallowed Crown, Wedding Toast, Politeness, Aubby K, Street Fancy, Callback, Unlimited Budget, La Passe, Tower of Texas, Ocho Ocho Ocho, Street Babe, Castaway, Cigar Street, Fleet Street, Ice Cream Silence, Motor City, Sensible Lady, Thunder Down Under, Cosmic Storm, Street Prancer, etc. ABLE GREEN - EXCEL (Mac.) (g. by Falbrav). 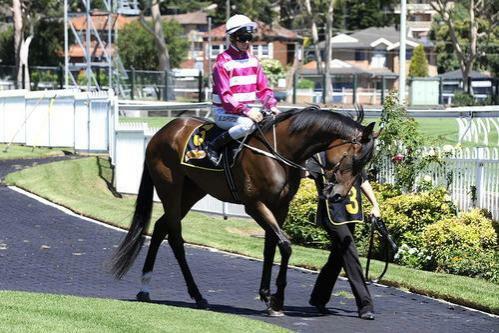 5 wins-1 at 2-to 1500m in Aust. and Macau, Macau 4YO Prelude, L.
Dixie Blossoms (f. by Street Sense). 2 wins. See below. Dixie Lass (f. by Exceed and Excel). 4 wins at 1000m, 1100m, BRC BMAG H.
Authenticated (g. by Authorized). Placed to 2015-16 in Aust. King Hussar - Circuit Lucky Star (Mac.) (g. by Husson). Placed in Macau. Win Practitioner (O'Reilly). 6 wins-1 at 2-from 1200m to 2200m, HK$6,574,000, HKJC Central Affairs II P., Ping Shan H., Peng Chau H., Li Yuen H., Middle Bay H., Le French May Trophy, 2d HKJC HKU Medical Alumni H., Bank Street H., Tales of Walled Village H., Flying Dancer H., Tokyo H., Electronic Unicorn H., 3d HKJC Citi Champions & Chater Cup, HK-1, Queen Mother Memorial Cup, HK-3, Hong Kong Exchanges Challenge Cup, 4th Mercedes-Benz Hong Kong Derby Trial, HK-2. Palette Natural (Volksraad). 4 wins from 1400m to 1800m, HK$7,439,500, HKJC Dublin H., Smashing Pumpkin H., P&O Challenge Cup, ING Synergy H., 2d HKJC Chairman's Trophy, HK-2, High Island H., Yuen Long H., Connaught H., Po Leung Kuk Centenary Cup H., Shun Hing Golden Jubilee Cup H., Kennedy H., 3d HKJC Stewards' Cup, HK-1, Queen's Silver Jubilee Cup, HK-2, Indigenous H., Audemars Piguet Tradition of Excellence H., 4th Mercedes-Benz Hong Kong Classic Mile, HK-1. Chaparro. 9 wins from 2000m to 5500m, A$376,894, Warrnambool RC Grand Annual S/chase, MVRC Printhouse Graphics H., Essendon Hyundai H., 3d MRC Grand National S/chase. Lord Pindari. 5 wins from 1400m to 1800m, A$128,628, MRC Peter Moody H., 2d MRC Eleven Cath White Memorial H., VRC Seven Two P., SAJC Car Auctions Adelaide H., 3d VRC Byron Moore H., Rain Lover H., MRC Isobel Malone Memorial H.
ZONDA (Zabeel). Champion Older Male Miler/Intermediate in NZ in 2001-02. Joint Head of The 1997-98 NZ 3YO Free H. 7 wins from 1600m to 2400m, NZ$391,500, A$583,000, New Zealand Derby, Gr.1, ARC The Oaks Stud Classic, Gr.1, Avondale Guineas, Gr.2, MVRC Alister Clark S., Gr.2, ARC King's P., Gr.3, Counties RC Bluebird Foods Championship H., 2d VRC Australian Guineas, Gr.1, 3d VATC Autumn Classic, Gr.2, WRC Dixon and Dunlop Ltd H., Lion Brown H.
MAGNOLIA HALL (Noble Bijou). 6 wins from 1600m to 2600m, A$473,420, QTC PJ O'Shea S., Gr.2, AJC Summer Cup, Gr.3, St Marys Theatre H., 2d AJC Colin Stephen H., Gr.3, Meapro H., PH Osborne Welter H., STC Warrawee H., 3d AJC Metropolitan H., Gr.1, VRC Melbourne Cup, Gr.1, GCTC Prime Minister's Cup, Gr.2, AJC Chairman's H., Gr.3, 4th STC Hill S., Gr.2. MAN OF HONOUR V (Noble Bijou). 9 wins from 1700m to 2400m in Malaysia, Singapore Derby, L, Singapore TC Queen Elizabeth II Cup, L, 2d Penang TC Yang di Pertua Negeri Gold Cup, L, 3d Singapore Gold Cup, L.
Tiggy Touchwood (Touching Wood). 3 wins from 1600m to 2000m, STC Pioneer International H., Cronulla RSL 55 & Over H., 2d AJC Australia Day Cup, L, Liverpool Catholic Club H., STC Cameo Club H., 3d AJC Bondi Junction H. Producer. SCARLET VANHARA (Van Nistelrooy). 2 wins at 1400m, 1600m, CJC New Zealand Bloodstock Air Freight S., L, 2d ARC Telecom H., Waikato RC Classic Hits 98.6ZHFM H., 3d Counties RC Auckland Thoroughbred Breeders' S., Gr.2, BOP RC Hills Haden Valuers 3YO H. Producer. MORVADA (Mossman). Winner at 2, A$79,880, in 2015-16, SAJC Oaklands P., L, 3d SAJC Sires' Produce S, Gr.3, 4th SAJC Breeders' S., Gr.3. SURPRIZE SURPRIZE (Prized). 8 wins-1 at 2-from 1200m to 1600m, NZ$208,275, Te Aroha JC New Zealand Thoroughbred Breeders' S., Gr.1, ARC JRA Trophy, Jaguar Easter Prelude, Poenamo Cobb & Co H., Avondale JC Albert Walters H., BOP RC Solitaire Lodge H., New Zealand Insurance H., 2d Te Aroha JC New Zealand Thoroughbred Breeders' S., Gr.1, Waikato RC Gasmate S., Gr.3, BOP RC Tauranga Classic, L, ARC Ernst & Young Auckland Charities H., 3d ARC King's P., Gr.3, Waikato RC New Zealand Bloodstock Juvenile H., 4th WRC Anniversary H., L, Rotorua S., L. Producer. UPRIZE (Prized). 5 wins from 1200m to 1600m, NZ$38,150, A$184,500, VRC Matron S., L, CJC New Zealand Bloodstock Air Freight S., L, 2d AJC Emancipation S., Gr.2, MRC Mannerism S., Gr.3, 3d MRC Coongy H., Gr.3. Race Record: 5 Starts 2-2-0 A$95,860. 2 wins at 1250m, 1400m, A$95,860, in 2015-16, ATC Schweppes P., Cafe Culture + Insitu H., 2d Illawarra TC Arrowfield Classic, Gr.3, ATC Staff Recognition Day H.